Are you starting to feel the Fall weather where you live? We are! So, this month I received this darling Fall Break Collection by Carta Bella from FotoBella. 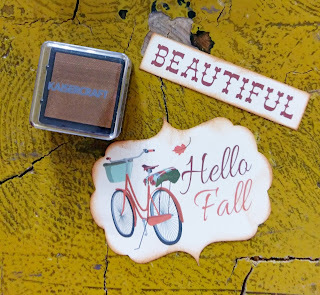 The perfect Fall collection! The designs and prints were very well thought out and the colors are incredible. 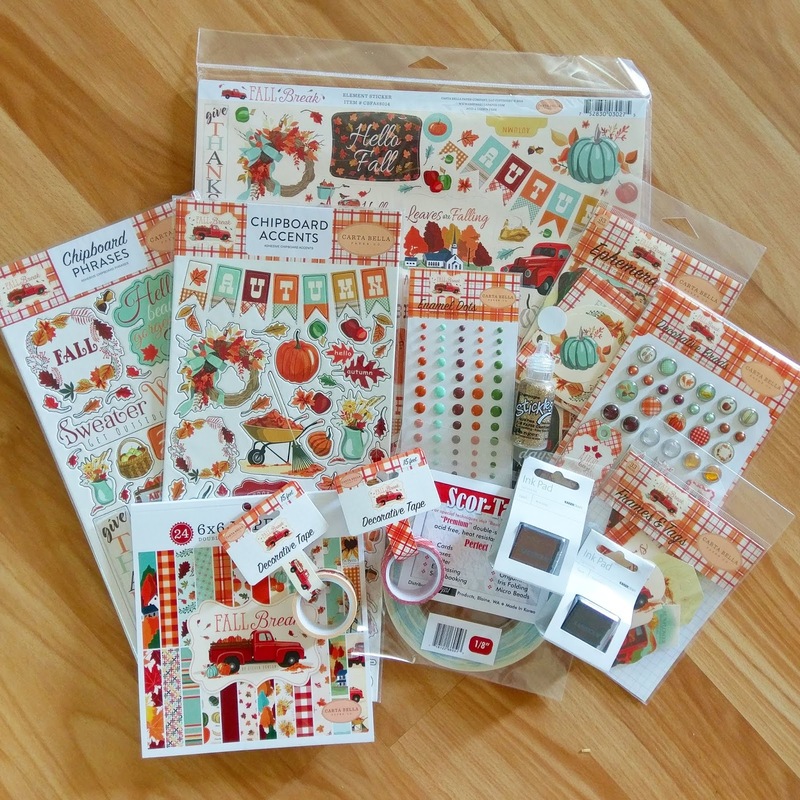 This collection was also accompanied by a couple Kaisercraft Inks and my favorite,.. Scor Tape! 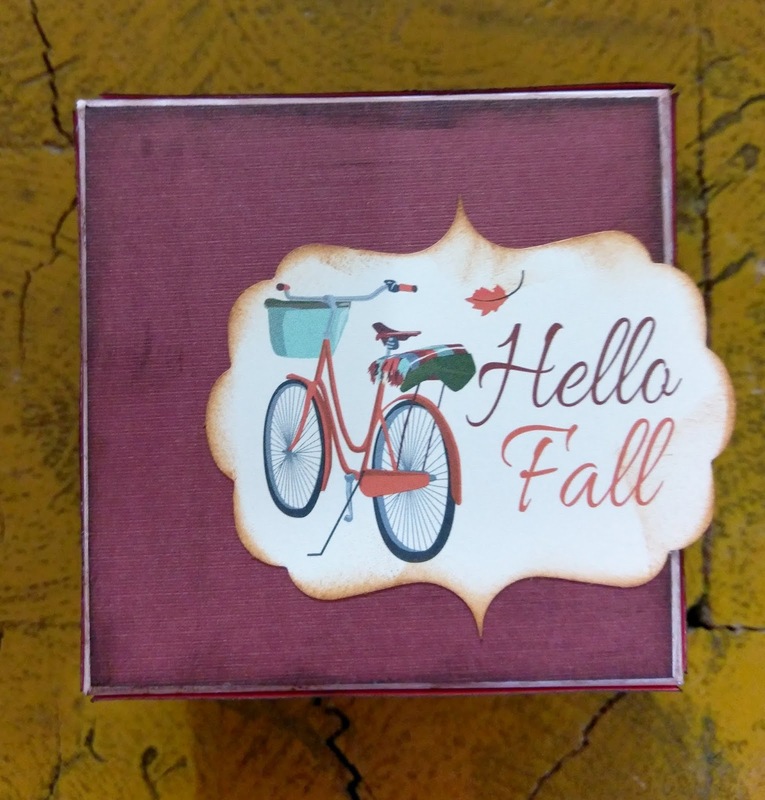 Follow my tutorial to make your own custom gift box! 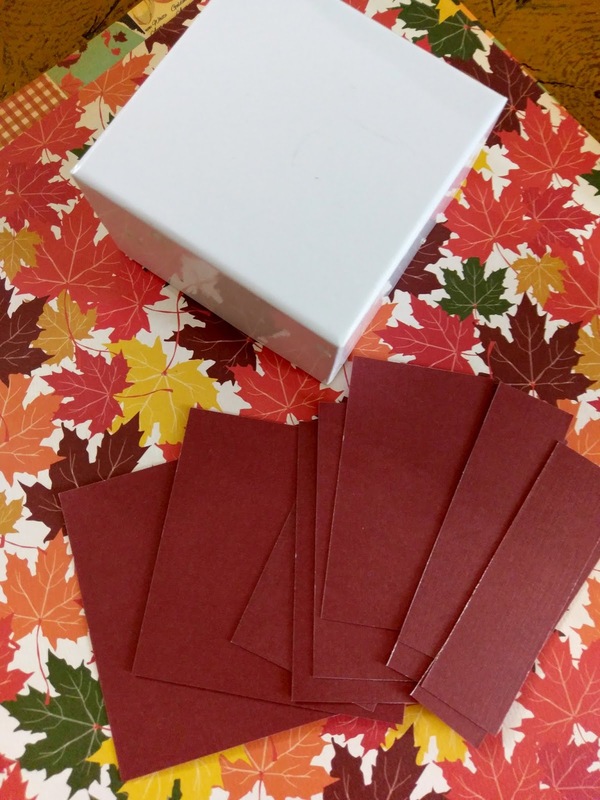 Measure all sides of your gift box and cut paper pieces that are slightly smaller than those measurements. 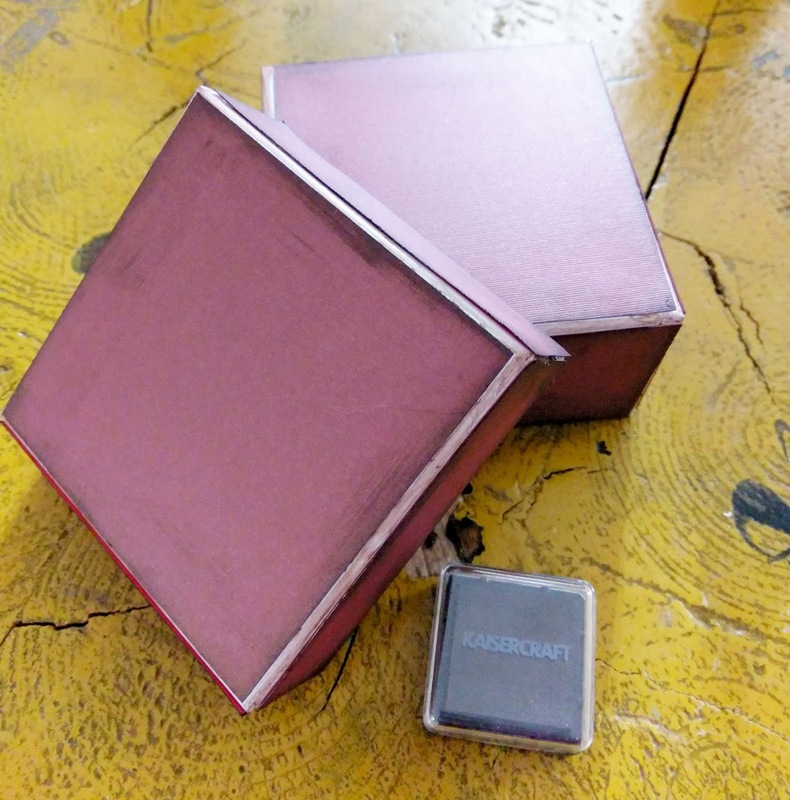 You need enough cuts for all sides, plus the top and bottom of the box. 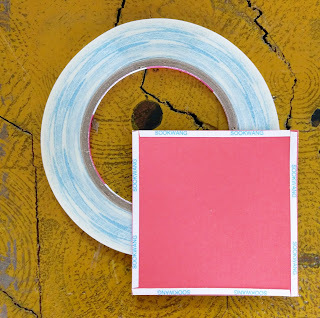 Using your Scor-Tape, attach stripes to all edges of each paper piece. Secure all pieces to the box sides. Make sure they are centered on the sides. 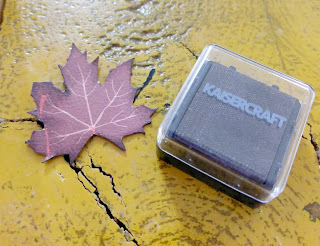 Once you have all paper pieces secured, grab your Kaisercraft Bark Ink Pad. 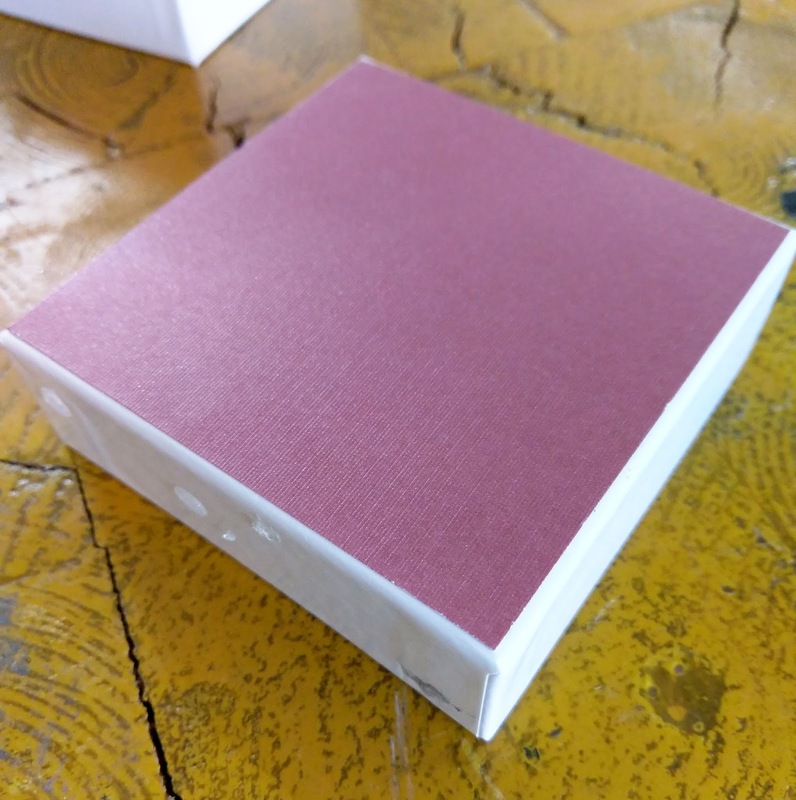 Ink all the edges of the paper and the box. Make it as clean or messy as you like. Find the Crunchy Leaves sheet and fussy cut a large maroon leaf out. Ink the edges with the Kaisercraft Bark Ink Pad. 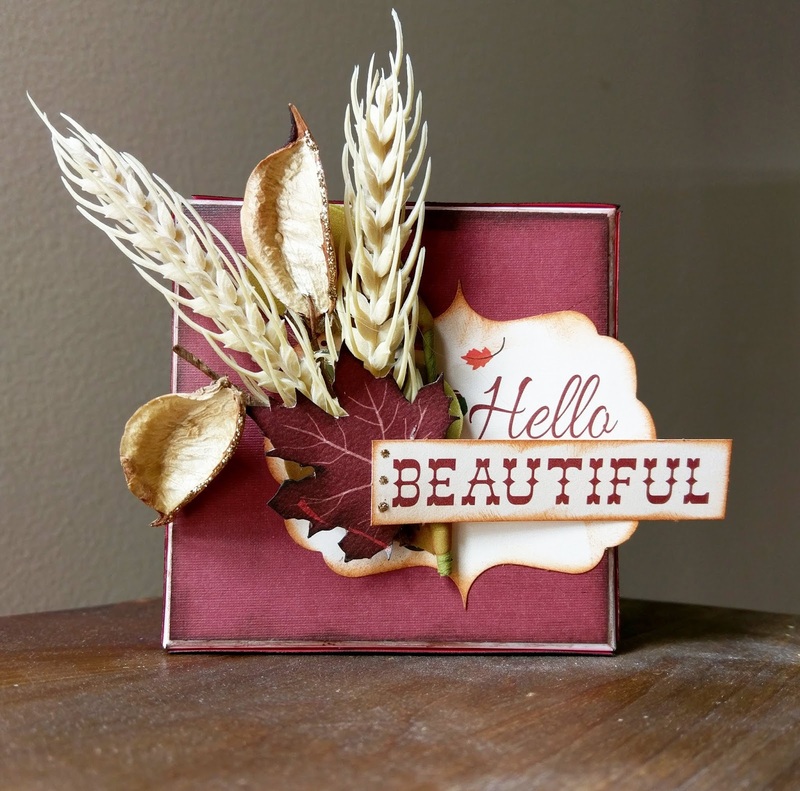 Grab this Beautiful and Hello Fall cut outs from the Carta Bella Fall Break Ephemera Package. With the Kaisercraft Vintage Ink Pad, ink the edges of both cut outs. 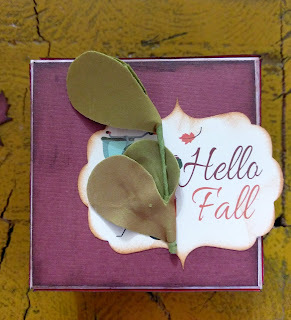 With your Scor-Tape, attache the Hello Fall cutout on the right side of the top of the box, like pictured. 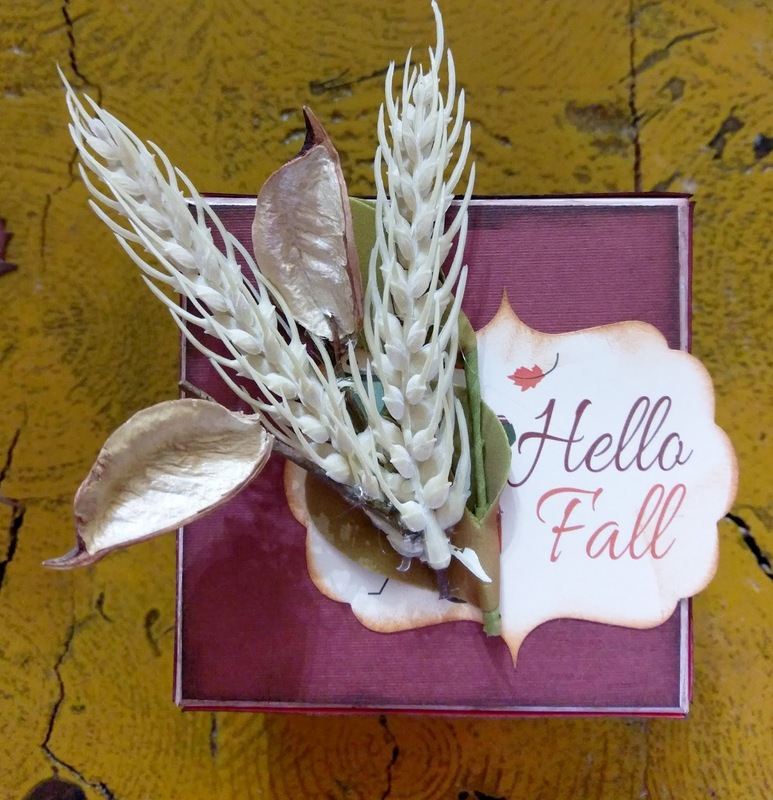 With your hot glue gun, start to secure your fall floral to the box top. I chose to cover up the bike on the cutout. Keep gluing until you have all the fall floral secured how you like them. 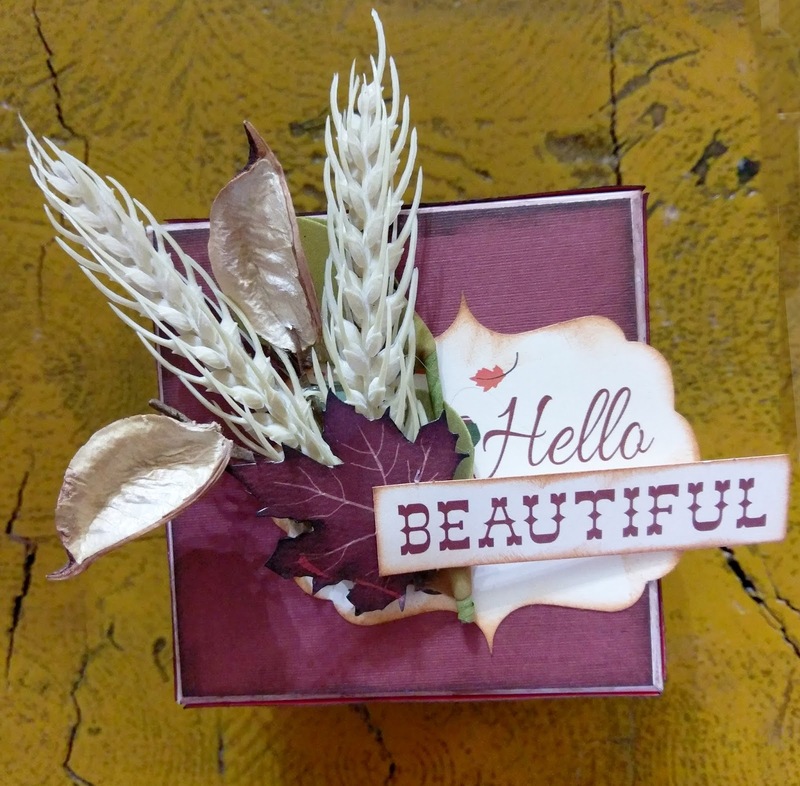 Hot glue the fussy cut leaf to the center of your floral, this will cover up the stems and the hot glue underneath. 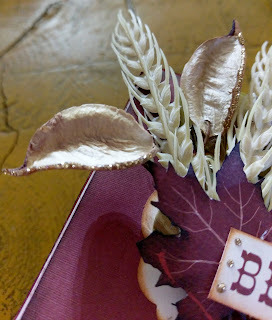 Then, glue the Beautiful cut out on top of the leaf, and below the Hello part of the other cutout, as pictured. 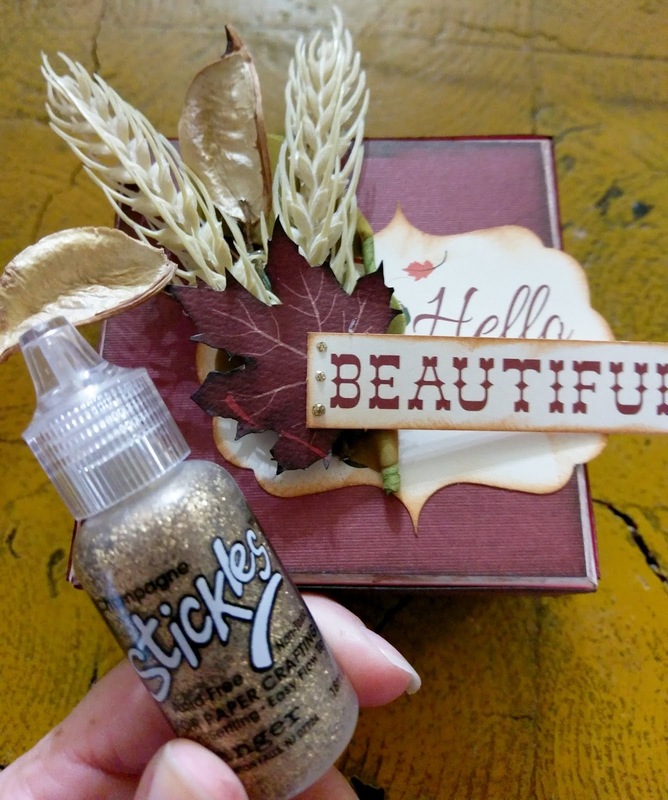 With your Champagne Stickles, add a couple of glitter dots to the left side of Beautiful. I also lined the edges of my fall floral with the Stickles for some added sparkle. 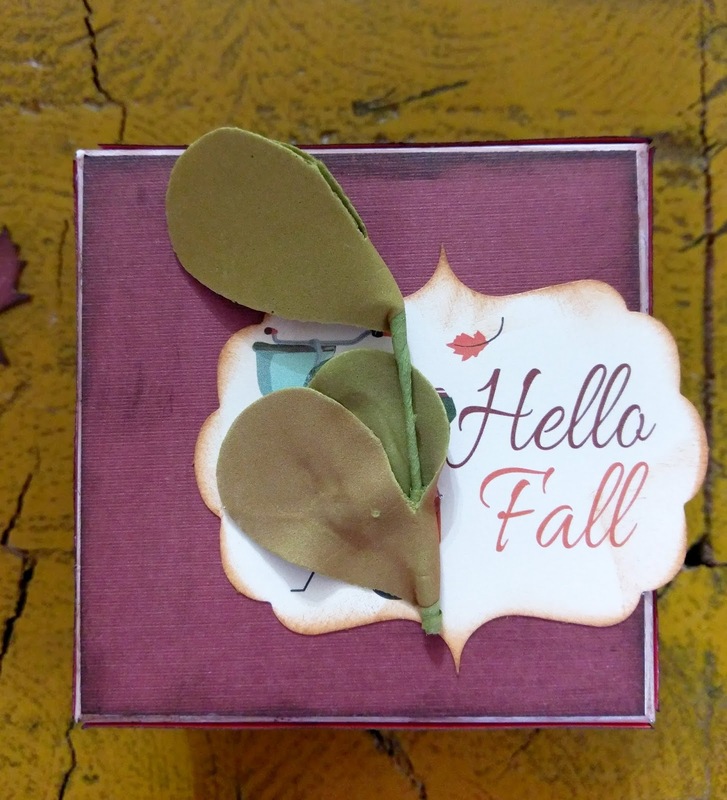 Now, fill that box with a special gift and give to a special person! Jeri , I don't know how I missed this! Love your Tutorial ! Wonderful ! Thanks for sharing and this came out very pretty!